Our strategic marketing and sales teams strive to keep your properties fully occupied with qualified, preferred tenants.  J. Butler’s proven marketing strategy integrates various successful techniques to attract the right renter. With the leasing process being one of the most important steps in achieving a profitable rental property, we ensure a team of skilled professionals to get the job done right. Market analysis conducted by our professionals to ensure you are getting the most rental income for your property possible. It can be difficult to balance attractive prices for tenants with your desired income, so we’ll use current market rates and our expert understanding of the area to find the perfect rates for you. Marketing and comprehensive advertising of your property to guarantee maximum exposure and lowest possible vacancy rates. Tenant screening through an advanced software with extensive background checks. We can offer an unparalleled level of screening and foster exceptionally low delinquency rates. Showings to further screen the prospective tenants and increase exposure to your small property. Leases tailored to each property and feature a detailed, 13-page leasing document designed to offer maximum protection for you. A full lead paint indemnification is completed along with a tenant welcome letter in the leasing package. Pre-occupancy inspection including a move-in checklist completed with a licensed leasing agent and the tenant before move-in to ensure the property’s original condition when the tenant moves out. Photos are taken of the property and archived in the company’s computer system for verification. This ensures your tenant is responsible for any damages that may occur during a lease. Lease renewals and expirations completed with our leasing professionals. We carefully track lease expirations and require a 60-day notice to vacate. If the tenant chooses to renew, we will perform a market rent analysis and execute rental documents with the tenant at a re-negotiated, higher rental rate when appropriate.